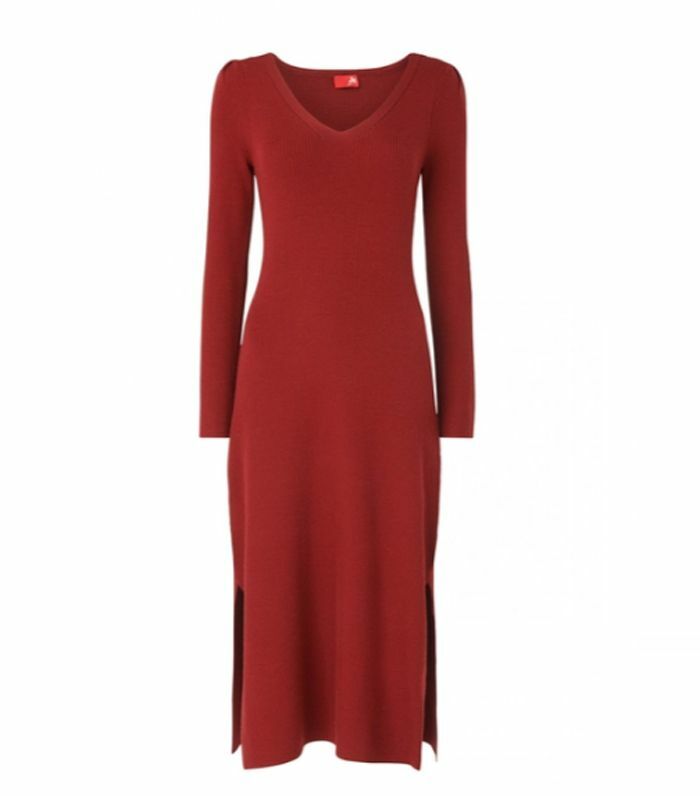 This has certainly been the year of the dress, however, that’s not about to change just because the temperatures are dropping. 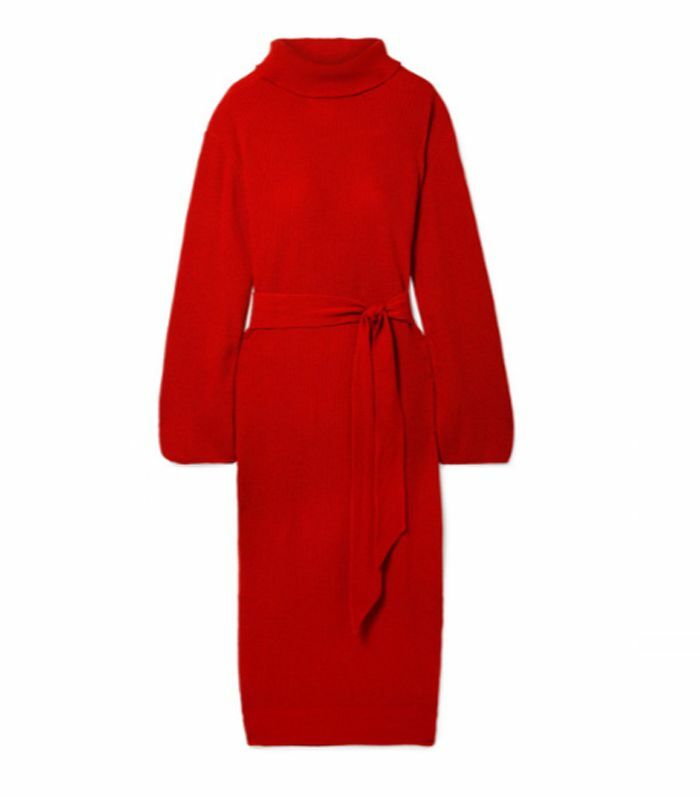 This winter, tea dresses and sundresses will be replaced by tunics, wrap dresses and midis in knits. 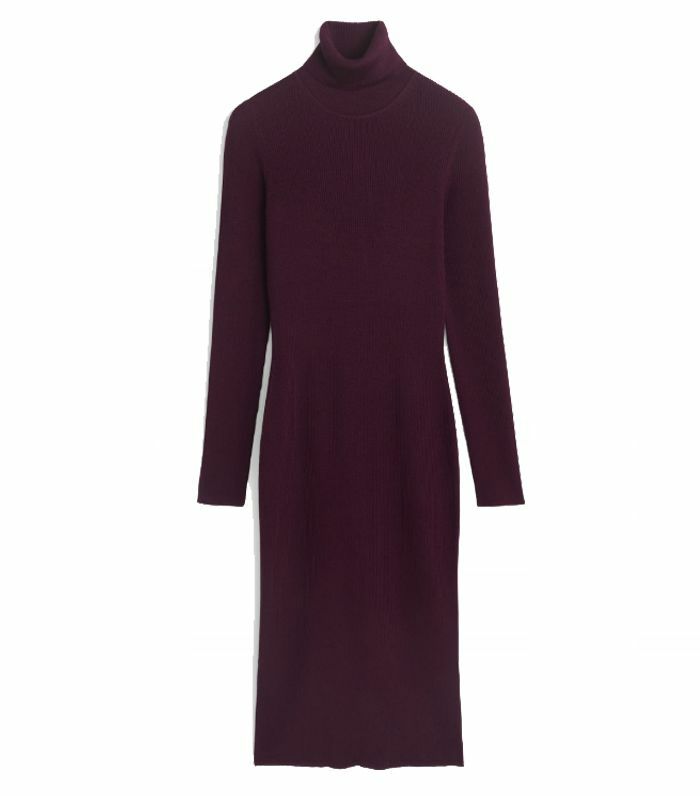 From chunky cable knits to ribbed cotton, knitted dresses come in every weight this season, meaning they aren’t just for the depths of winter. 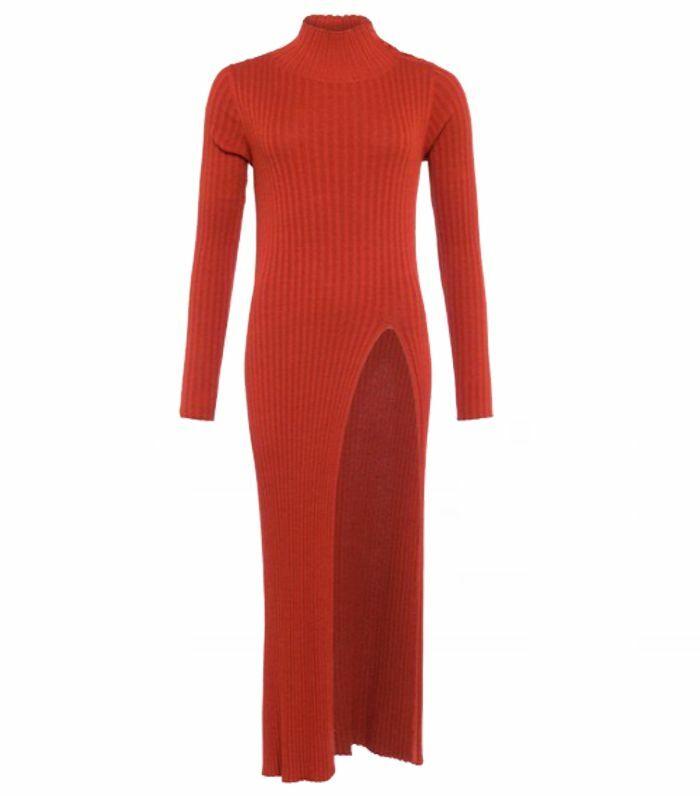 Jacquemus’s Baya Dress was one of the standout items on the street style circuit this September—it’s a sleeved roll-neck maxi dress in a fine ribbed knit with a deep slit on the left thigh. Although you’ll now struggle to find your own Baya, there are plenty of other designers and high-street brands that have created knitted beauties. 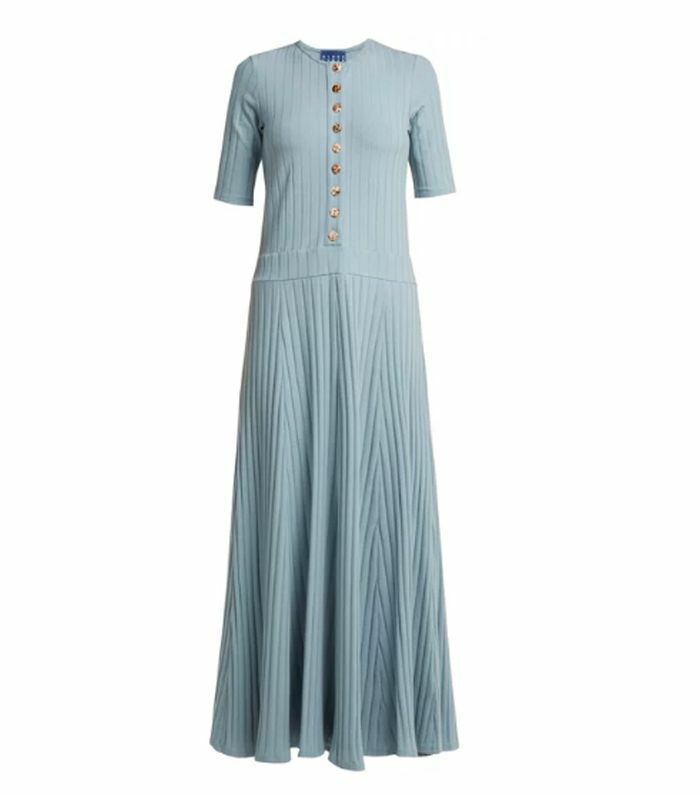 High on our list is Isabel Marant’s red cable knit oversized jumper and Albus Lumen’s ribbed maxi dress in a washed-out blue that you can wear in all year long. 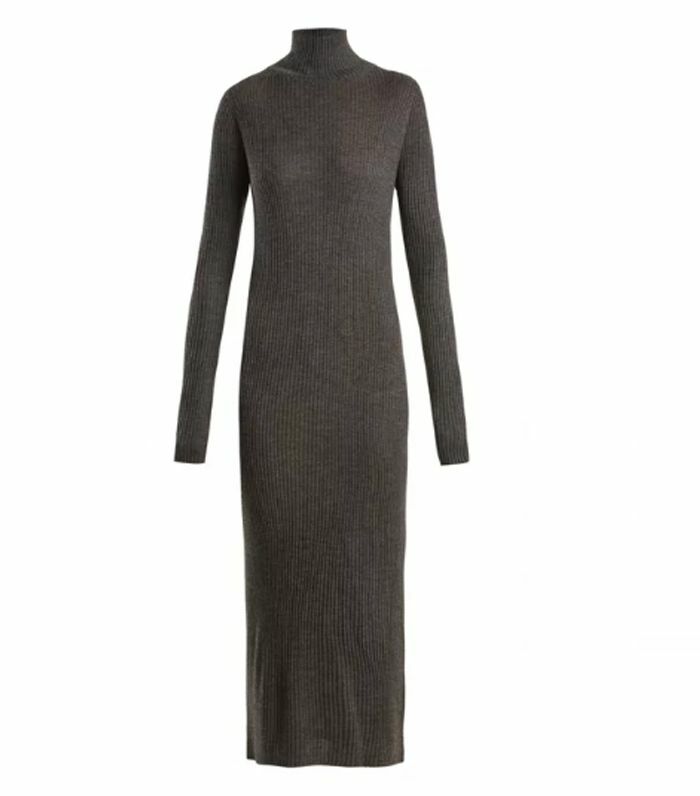 Keep scrolling to shop our edit of the best knitted dresses we’ve spotted. Adenorah and Camille wearing Jacquemus’s sold-out knitted dress. Adenorah in the sold-out Jacquemus dress. 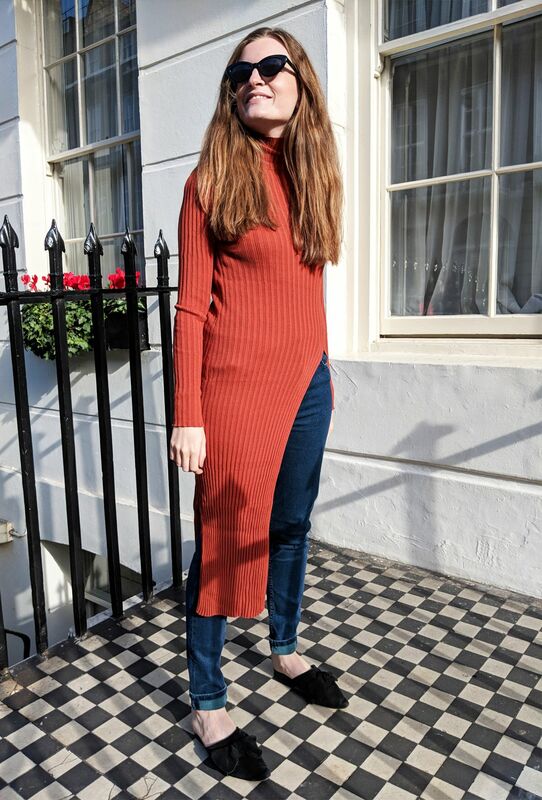 Who What Wear’s Emma Spedding wearing a French Connection tunic. This also comes in other colours too. 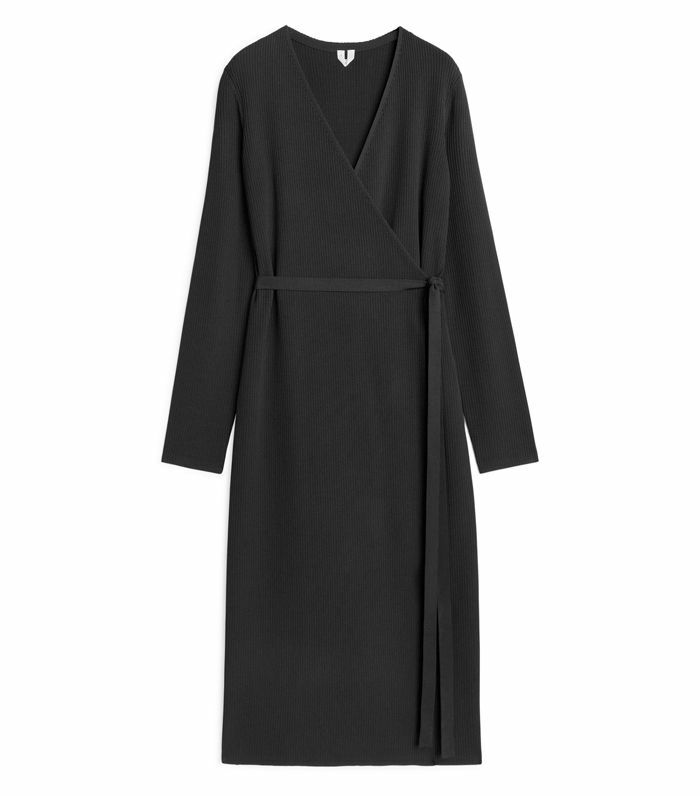 This wrap silhouette is really flattering. This colour looks really expensive. We would wear this over black leggings. Pair with ankle boots and you’re good to go. 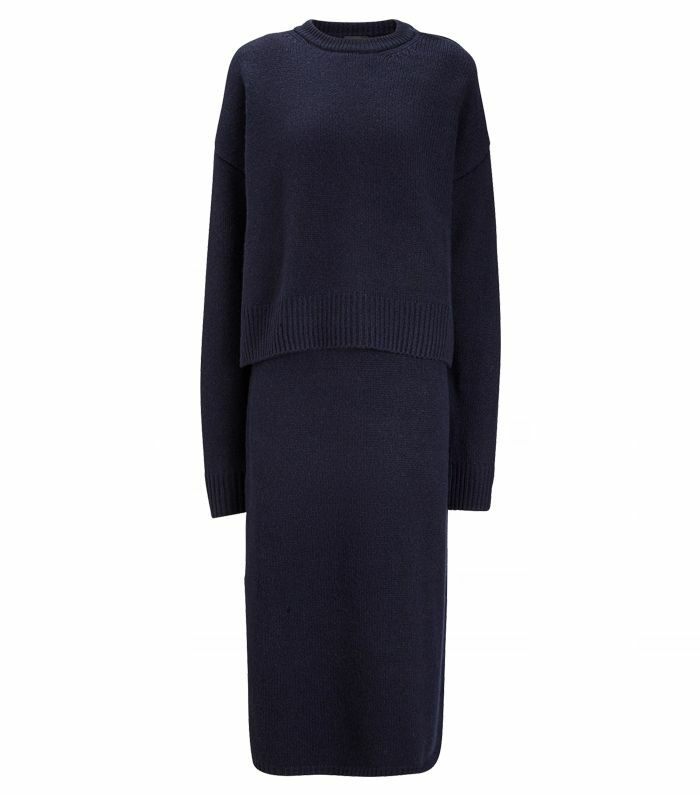 This looks like a jumper and knit co-ord, but it’s actually a dress. We’d belt this with a black leather belt at the waist. 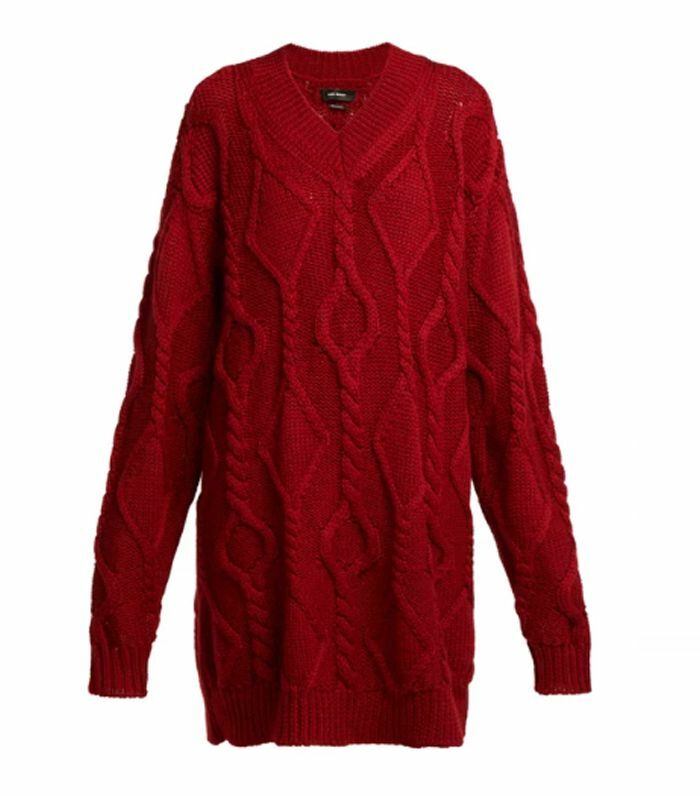 We’d wear this with jeans or black trousers. 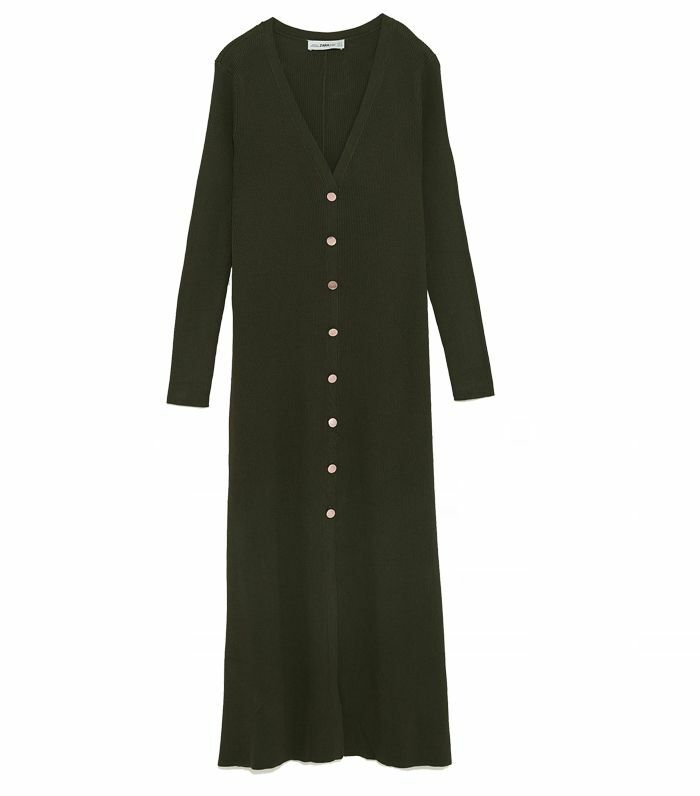 The buttons are a cute added detail.